We love to share our latest news with you. 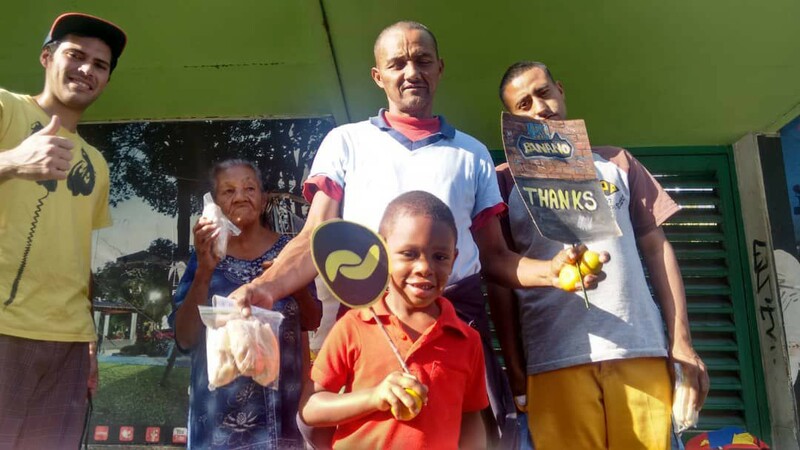 As you may hear or even donated to campaign, we were able start a food distribution — the 3rd time since founding up to now. As a first glimpse — it was purely amazing in all points! Why? — Please see our commented Photo-Story below. 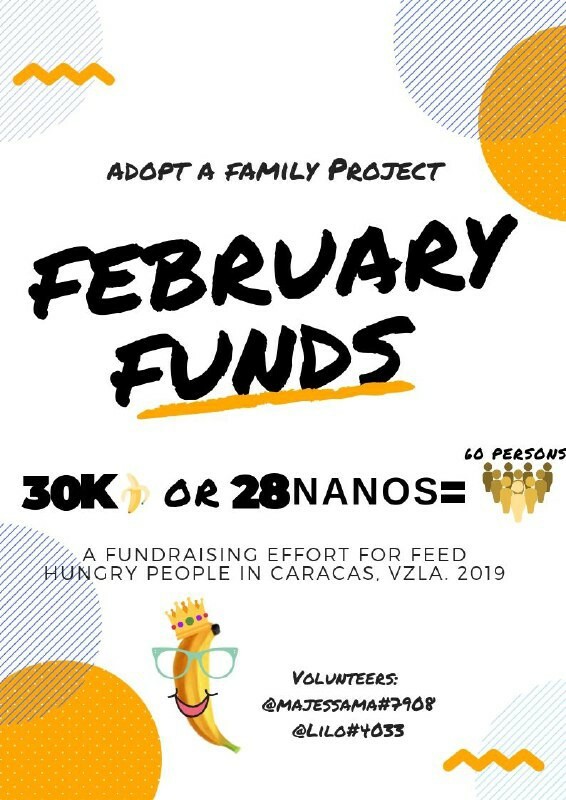 Right after posting our campaign-poster on Discord with the declared aim of raising 30000 Bananos or 28 Nanos, you started donating to us. Especially one member, who instantly after reading donated the full declared goal of 30000 bananos right away — Thank you very much “chocoladefudcake” for your generosity. (Freena, TerryG, chris thurd, Madasiaka, Pittiplasch, Edward Pipo, ivan, deiv, Bantano, joseito and one anonym donation directly on wallet). 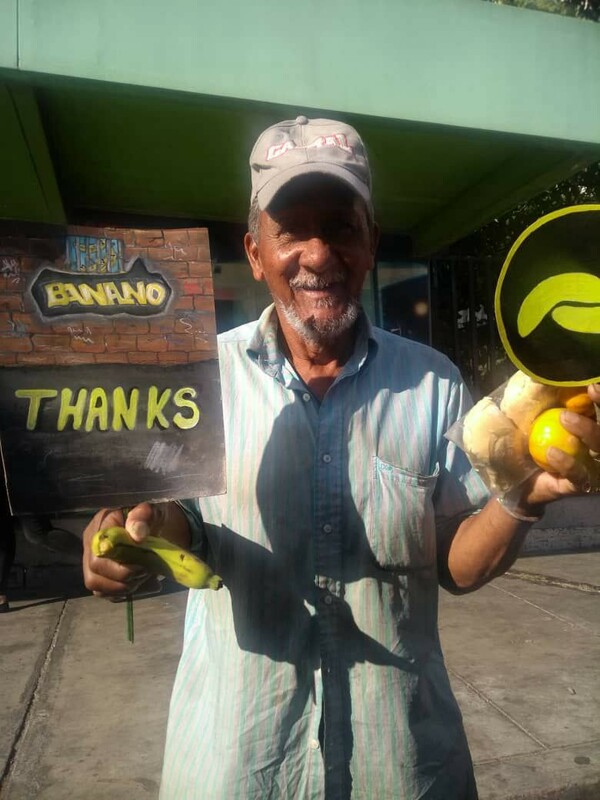 In total we raised about 49805 Bananos, 1 Nano and exceeded our goal with about 20000 Bananos. 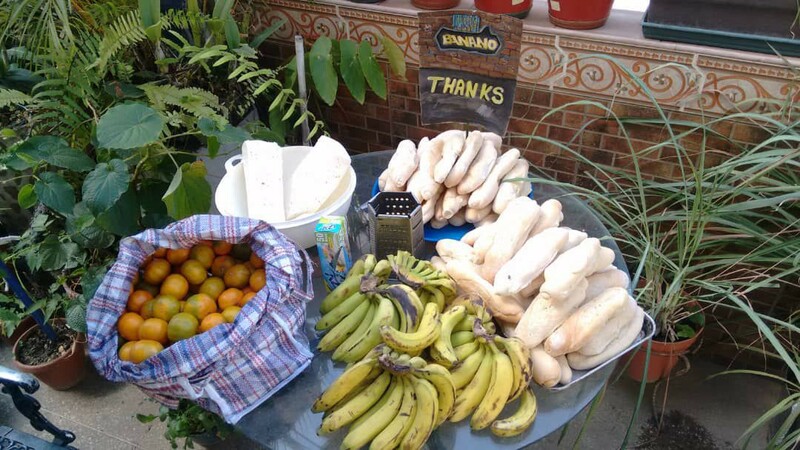 Pumped by this eager community we used 35000 Bananos in total for distribution and bought food with these funds. 30000 Bans for bread, cheese and baggies. The excess funds were stored in wallet and will be used for supporting our regular supported families. … I will tell you, please follow photo-story below. 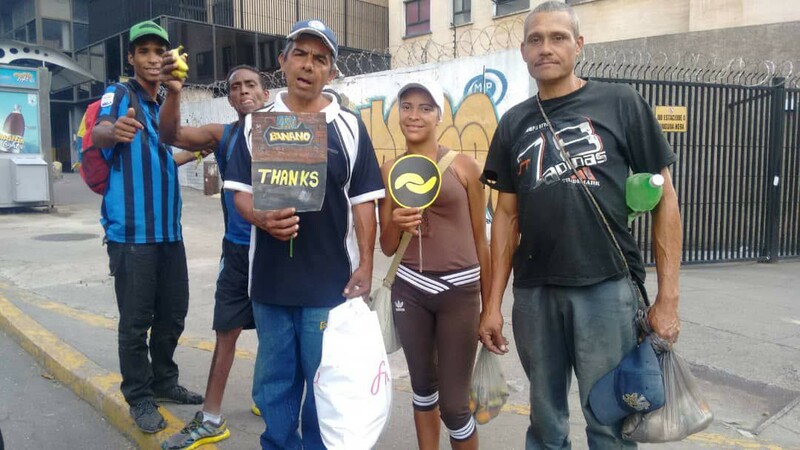 The received funds were exchanged from Banano to Bolivar Soberanos. In total about $30 equivalent at time of receipt. And with “we”, I mean the second amazing thing this time happened to our project. 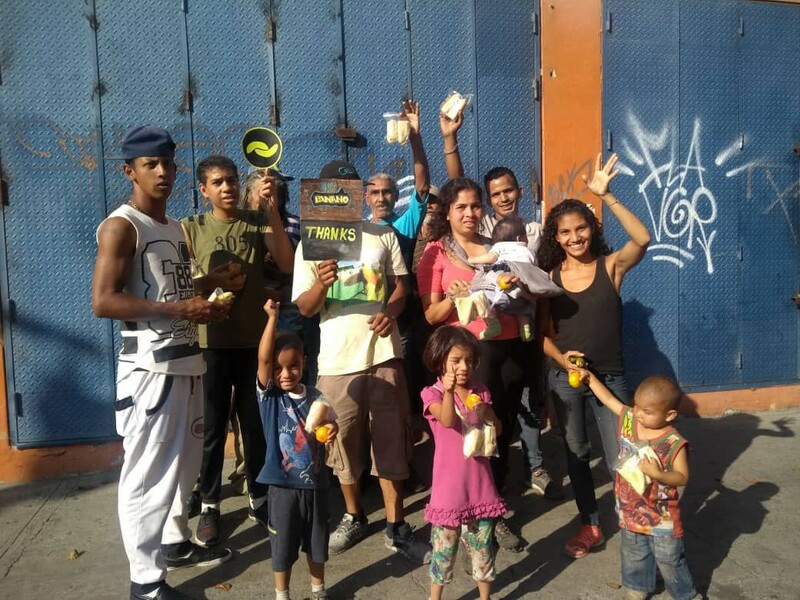 For the first time this distribution was a full community event! All funds were donations by community and follower. 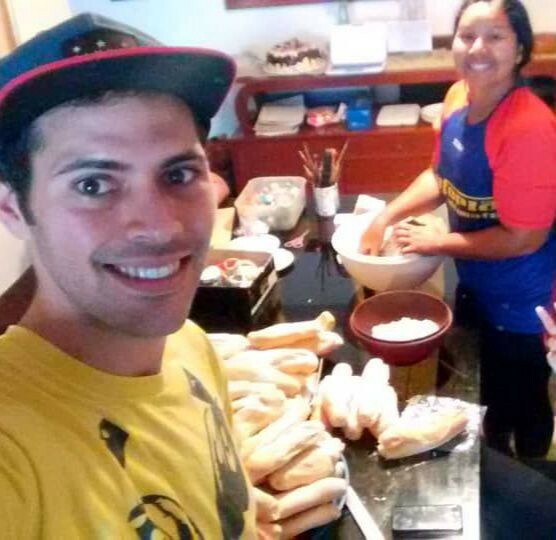 Buying, preparing and distributing the food were done by 3 community members — Lilo, Sebas and one more (she wants to stay anonym). We are blessed with you! Simón and I were the sparks, you are the flame. Let me introduce to you our helping hands. Thank you very much Lilo and Sebas for all your help. 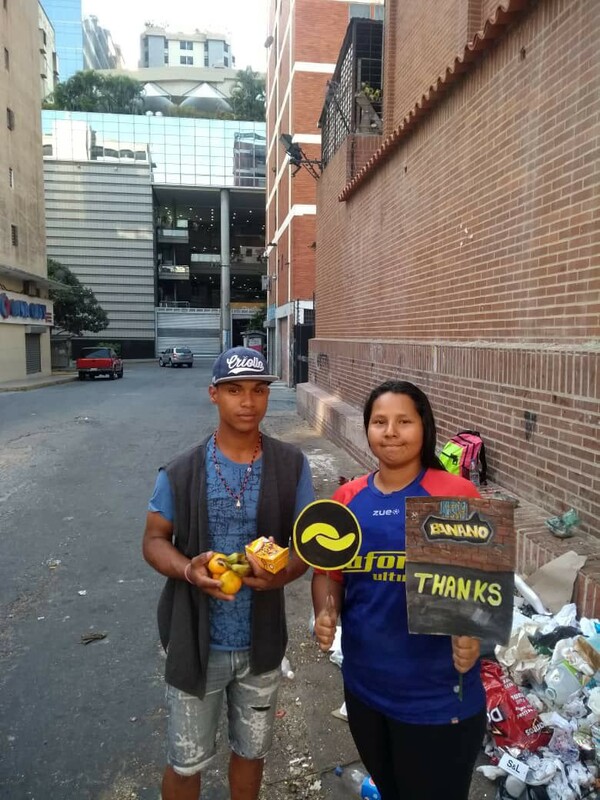 As well as Lilo’s mother, who prepared the Banano-signs and our anonym helper. 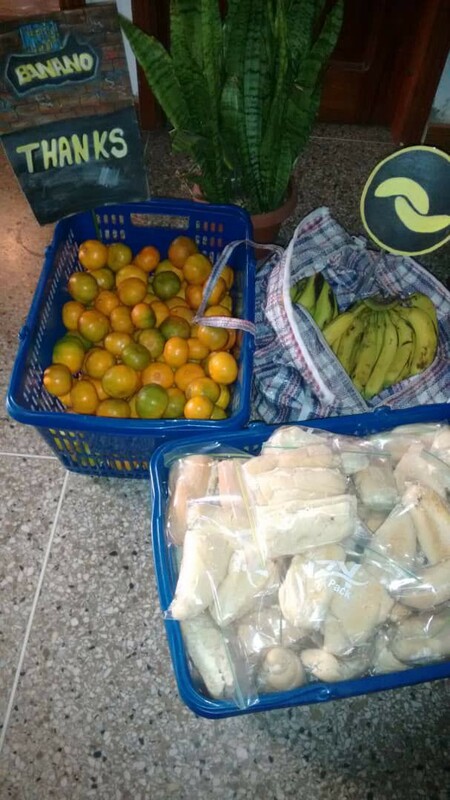 After all preparations were done, all food were packed nicely and in clean bags, the distribution is about to start. During last distribution we gave all kind of persons a nice meal. 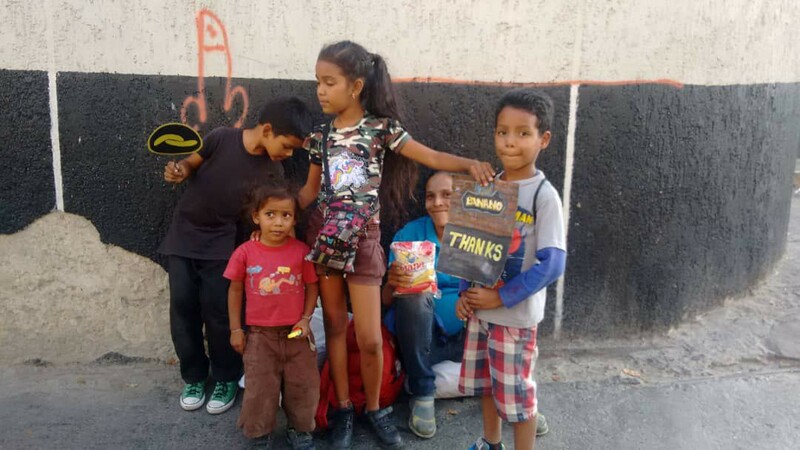 This time was no different, but we tried to reach more children than the last time. 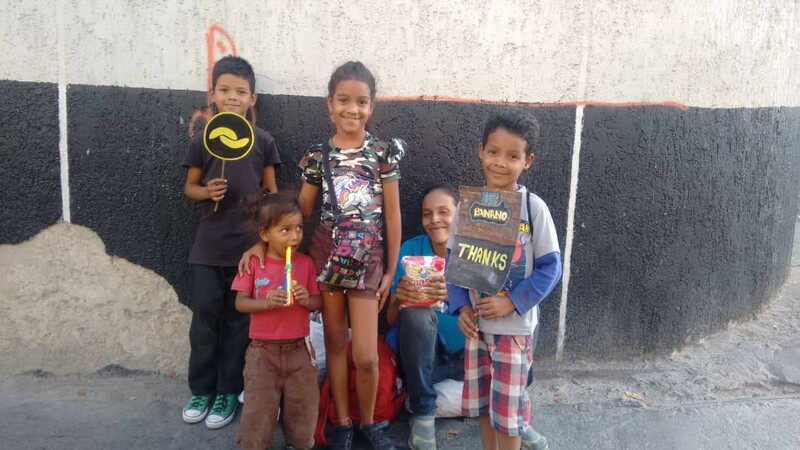 Venezuela does not only suffer a hyper inflation right now, even a humanitarian crisis with a lot of children homeless on the streets. This young family was one of our first recipients. Of course, everybody, no matter what age or situation, get some nice meal. We surely made the day of these families. Have you noticed the signs? Done by Lilo’s mother? Fortunately this situation was managed calm and everybody gone their ways. Unfortunately due to this we don’t have more pictures for you. Several more people and groups were in favor of this project’s distribution. With last picture Lilo gave the last meal to this single man and ended the campaign. We hope you had a great time reading this small article / photo-story. We also hope you stay in touch with us and be (or become) a part of our community. Just follow us, share this and other articles from project’s developments or have a look into news every now and then. We appreciate all of you and your help to let us these things do. Again, thank you all very very much and have a nice day.